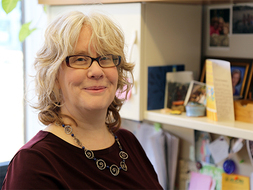 Mary Brolin, Ph.D., a Scientist within the Institute for Behavioral Health at the Heller School for Social Policy and Management, Brandeis University, has worked in the substance abuse field for 29 years conducting health services research and evaluating community-based prevention and treatment programs. Her research interests focus on the intersection of substance abuse services with other service systems, including the criminal justice system, systems serving youth and young adults, primary care and housing support systems. Dr. Brolin conducts mixed methods research on substance use disorder services for youth and young adults, low-income people, Medicaid populations, chronically homeless people, and criminal justice populations. Currently, Dr. Brolin is a co-investigator and the Implementation Lead for Brandeis’ NIDA-funded Hub and Spoke Model to Improve Pharmacotherapy Use for Opioid Use Disorders and Promote Recovery. She is also leading the evaluation of a nurse care manager and recovery coach MAT model in three community health centers in MA funded by SAMHSA. She recently completed a study of the implementation and effectiveness of an intensive case management program for high utilizers of emergency department services with substance use disorder and/or mental health treatment needs and a CMS initiative to help repeat users of detox reduce their need for subsequent detox services. She also led the evaluation of the Massachusetts Screening, Brief Intervention and Referral to Treatment (MASBIRT) project and is currently co-PI of an evaluation of a community-based SBIRT project conducted by YouthBuild USA. In addition to local evaluations, she has conducted larger-scale national evaluations including a study for the Open Society Institute’s Closing the Addiction Treatment Gap, involving 8 sites nationally and for the Grants to Benefit Homeless Individuals funded by SAMHSA, involving 25 sites nationally. Dr. Brolin is a lecturer in the Masters in Public Policy (MPP) at the Heller School for Social Policy and Management. In the past few years, she has mentored ten NIAAA trainees on their dissertation and course work. Currently, she advises four MPP students and serves on several dissertation committees. Dr. Brolin received a Ph.D. from the Heller School for Social Policy and Management, a Masters in Social Sciences from the University of Chicago, and a B.A. in sociology from Boston College. Hodgkin D., Brolin M.F., Ritter G.A., Torres M.E., Merrick E.L., Horgan C.M., Hopwood J.C., De Marco N., Gewirtz A.. "Cost Savings from a Navigator Intervention for Repeat Detoxification Clients.." Journal of Mental Health Policy and Economics 22. 1 (2019): 3-13. Brolin, M., Torres, M., Hodgkin, D., Horgan, C., Lee, M., Merrick, E., Gewirtz, A., Straus, J., Harrington, J. & Lane, N.. "Implementation of Client Incentives within a Recovery Navigation Program." Journal of Substance Abuse Treatment 72. January 2017 (2017): 25-31. Quinn, A., Hodgkin, D., Perloff, J., Stewart, M., Brolin, M., Lane, N., & Horgan, C.. "Design and impact of bundled payment for detox and follow-up care." Journal of Substance Abuse Treatment. 82. 113-121 (2017). Quinn, A., Stewart, M., Brolin, M., Horgan, C., & Lane, N. "Massachusetts Substance Use Disorder Treatment Organizations' Perspectives on the Affordable Care Act: Changes in Payment, Services, and System Design." Journal of Psychoactive Drugs 49. 2 (2017): 151-159. Quinn, A., Brolin, M., Stewart, M., Evans, B., and Horgan, C. Reducing Risky Alcohol Use: What Health Care Systems Can. Waltham, MA Massachusetts Health Policy Forum: 2016. Brolin MF, Dennehy K, Booxbaum A, Horgan C.. Improving Access to Substance Abuse Treatment and Reducing Incarceration and Recidivism. Waltham, MA Massachusetts Health Policy Forum: 2015. Shanahan, C.W., Sorensen-Alawad, A., Carney, B., Persand, I., Cruz, A., Botticelli, M., Pressman, K., Adams, W.G., Brolin, M., Alford, D.P.. "The Implementation of an Integrated Information System for Substance Use Screening in General Medical Settings." Journal of Applied Clinical Informatics 5. (2014): 878-894. Brolin, M., Quinn, A., Jenna T. Sirkin, J.T., Horgan, C.M., Parks, H., Easterday, J. & Levit, K.. Financing of Behavioral Health Services within Federally Qualified Health Centers. Rockville, MD Substance Abuse and Mental Health Services Administration: 2012. Brolin, Mary; Davis, M., Larson, M.J. & Cappocia, V.. "Strategies to Close the Addiction Treatment Gap and Resulting Impacts on Primary Care." Association for Medical Education and Research in Substance Abuse, 34th Annual National Conference. Bethesday, MD. November, 2010..
Alford, D.P., Almeida, A.B., Saitz, R., Brolin, M., Kim, Shanahan, C.W., Botticelli, M. & Samet, J.. "Should Adults Who Screen Negative For Unhealthy Substance Use be Rescreened Annually?." Society for General Internal Medicine Annual Meeting, Miami Beach, Florida. May 15, 2009. Pressman, K., Botticelli, M., Alford, D., Girard, C., Brolin, M., Kim, T.. "Massachusett's experience with federal, state, and insurance funded SBIRT projects." American Public Health Association 136th Annual Meeting, San Diego, CA. October 28, 2008. Alford, D.P., Kim, T.W., Ellenberg, L, Clark, D., Radhakrishnan, N. & Brolin, M.. "Teaching Medical Students How to Perform Screening and Brief Interventions for Unhealthy Substance Use." College on Problems of Drug Dependence 70th Annual Scientific Meeting, San Juan, Puerto Rico. June 19, 2008. Brolin, M., Novak, S., Mallonee, E. & Garnick, D.. Background Report: Performance Management for Substance Abuse Treatment NOMS. Department of Health and Human Services, Substance Abuse and Mental Health Services Administration, Office of Applied Studies. Rockville, MD: 2008. Brolin, M.F., Rubin, A., Alford, D., Shanahan, C., Kim, T., Ellenberg, L., Persand, I., Almeida, A., Perloff, J., Pressman, K., & Girard, C.. "Evaluation of Telephone-Based Screenings for Alcohol and Other Drug Problems." American Public Health Association 136th Annual Meeting, San Diego, CA. October 28, 2008. Trisolini, M., Brolin, M., Garnick, D. & Novak, S.. Background Report for the Benchmarking Technical Consultation Group Meeting. Department of Health and Human Services, Substance Abuse and Mental Health Services Administration, Office of Applied Studies. Rockville, MD: 2008. Brolin, Mary Fontanella, Horgan, Constance, Amaro, Hortensia, & Doonan, Michael. "Substance Abuse Treatment in the Commonwealth of Massachusetts: Gaps, Consequences and Solutions." Massachusetts Health Policy Forum, Boston, MA. Massachusetts Health Policy Forum, November, 2005. Brolin, Mary Fontanella, Seaver, Carol, & Nalty, Dennis.. "Performance Management: Improving State Systems through Information-based Decisionmaking." 2004. Brolin, Mary Fontanella, Panas, Lee, Elliott, Elsa, & Shwartz, Michael. "The Effect Of Case Management In Substance Abuse Treatment: Analysis Of Special Populations." 2002.